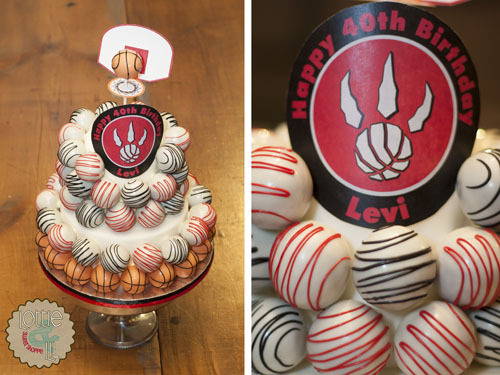 This birthday boy is a major Toronto Raptors fan so it was a fitting theme for his cake ball birthday display. 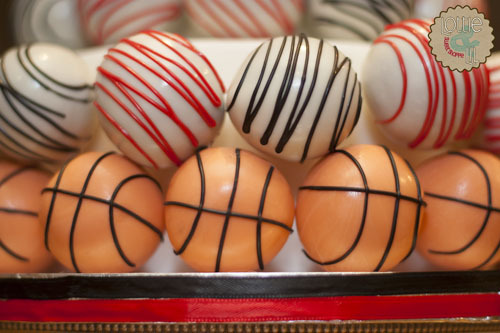 The tiered cake ball display sported red and black drizzled cake balls with a row of basketball cake balls. One special basketball cake pop topped the display complete with a Raptors backboard and net. This entry was posted on Monday, April 28th, 2014 at 9:43 am	and is filed under Birthday Pops.